Did your mom or dad have a list of regular “rotation” dishes that they fixed for you on a weekly basis growing up? Casseroles? PB and J’s? 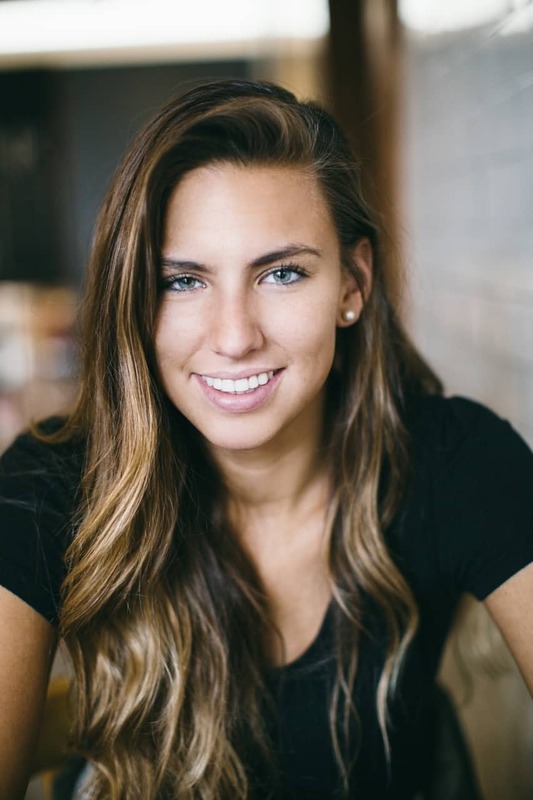 Quesadillas? 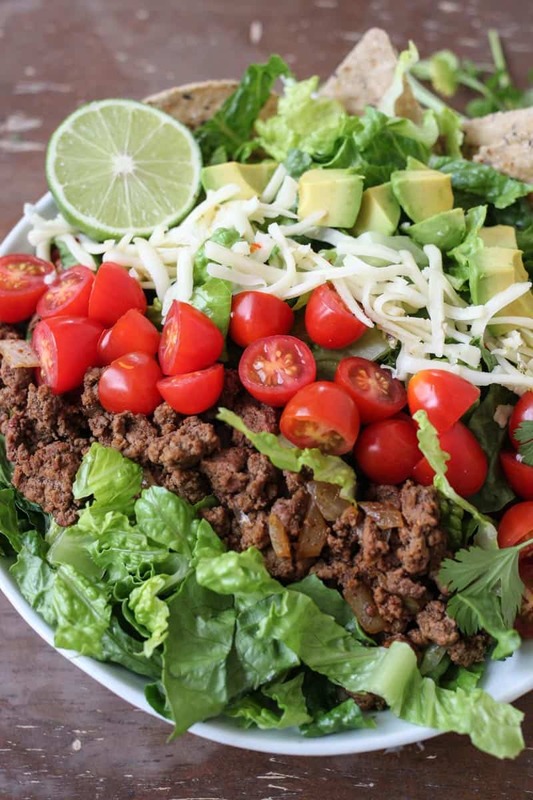 Although my mother was always trying new things in the kitchen, we often had our list of “rotation” dishes, some of which included chicken enchiladas, spaghetti and meatballs, stir fried chicken and vegetables, french dip sandwiches, and undoubtedly taco salad a time or two. 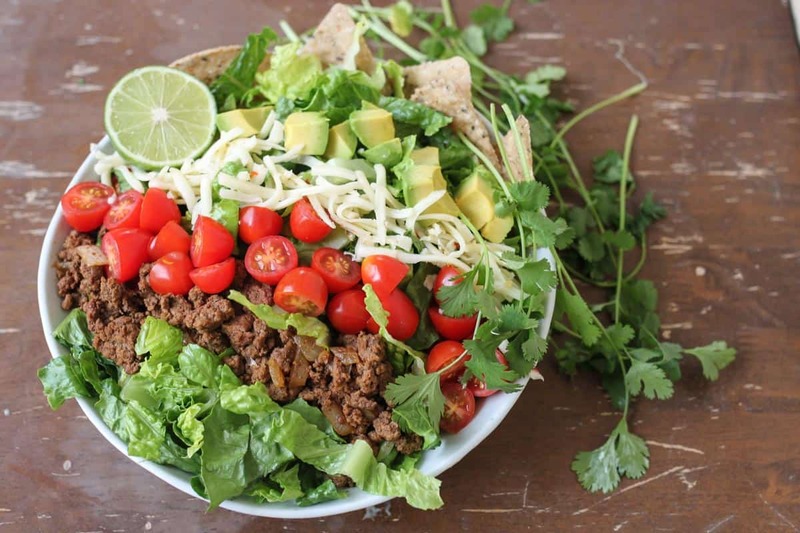 This easy taco salad is time delicious, healthy, and one of the quickest meals you can make in a hurry. I didn’t think much of it when I made this for my husband (then boyfriend) while we were dating. It was a late night dinner and I had just gotten home from a run. Little did I know that my effort to consolidate dishes and save time would result in endless praise over one of my go-to childhood dishes. 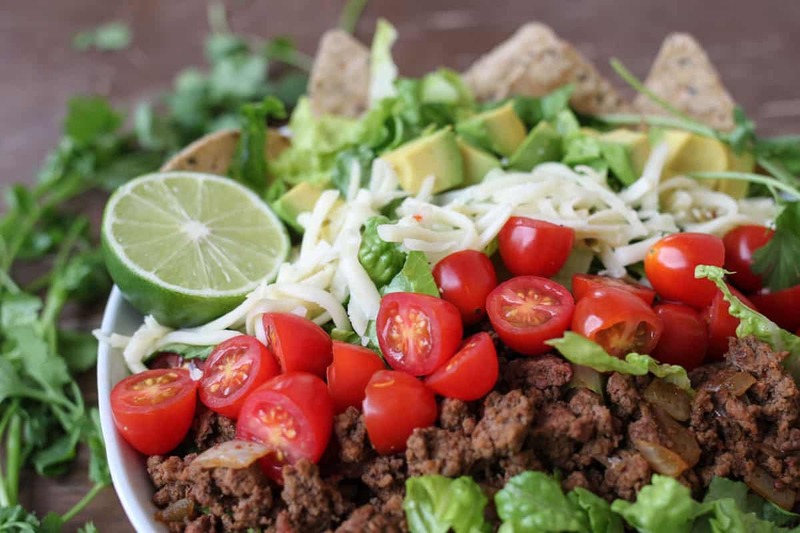 This easy taco salad consists of chopping your veggies, grating the cheese, browning the meat, and serving all together. I created a homemade dressing recipe that I felt would bump up the adult points and add a creamy, flavorful finish to all of the chunky ingredients. 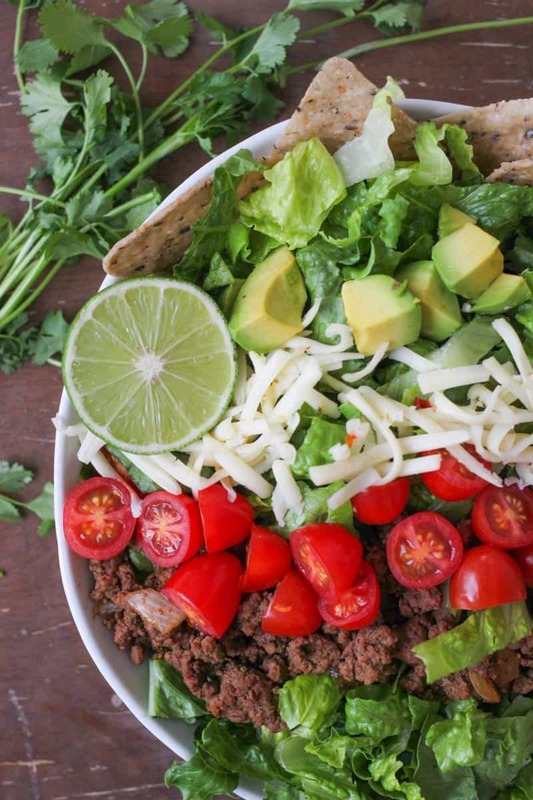 It’s adapted from one of my *favorite* salad recipes ever (Erin and Misty’s Basil Couscous Salad) and is 100% worth the extra couple of minutes when making this easy taco salad. If all else fails, you can raid your refrigerator and add anything and everything that you think would taste great. 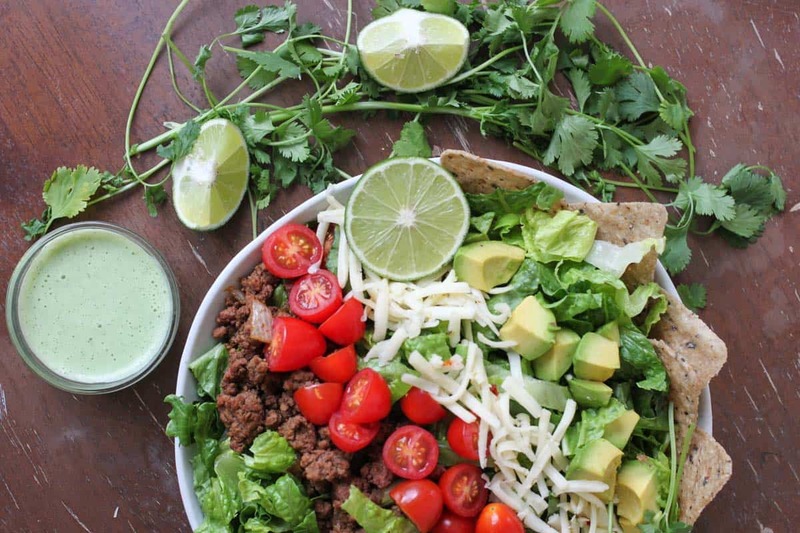 With a base of lettuce, cooked ground beef, and cheese, you can basically do anything. 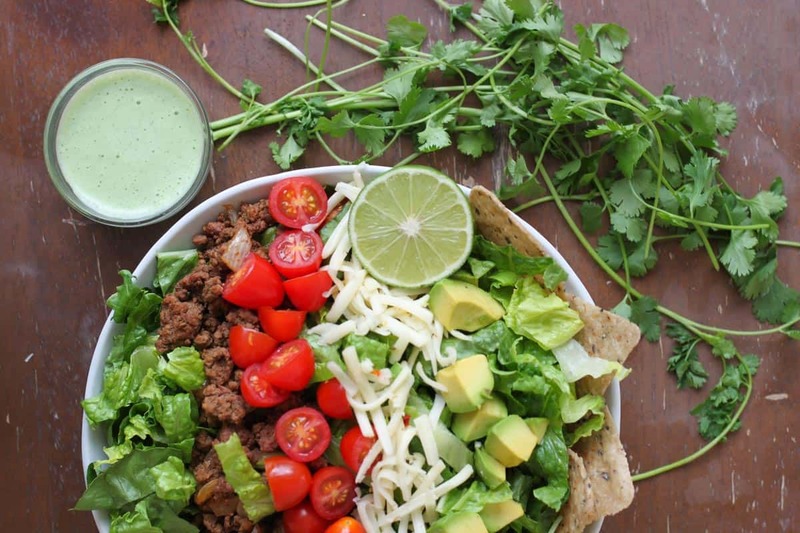 Rinse and chop the lettuce, tomatoes, avocado. Shred the cheese. Set ingredients aside. Cook the ground beef over medium-high until no longer pink. Drain the grease. 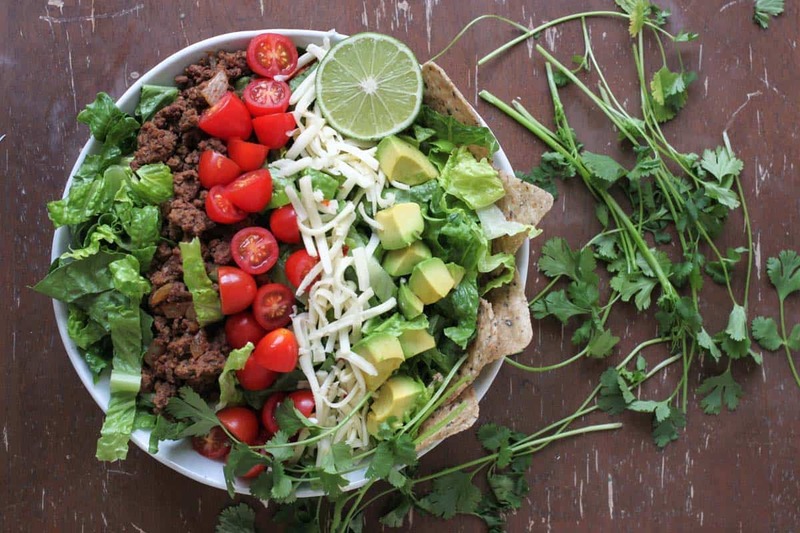 Add taco seasoning and follow directions (usually requires additional of water with a few minutes of cooking). In a blender combine all dressing ingredients and blend until smooth and creamy. 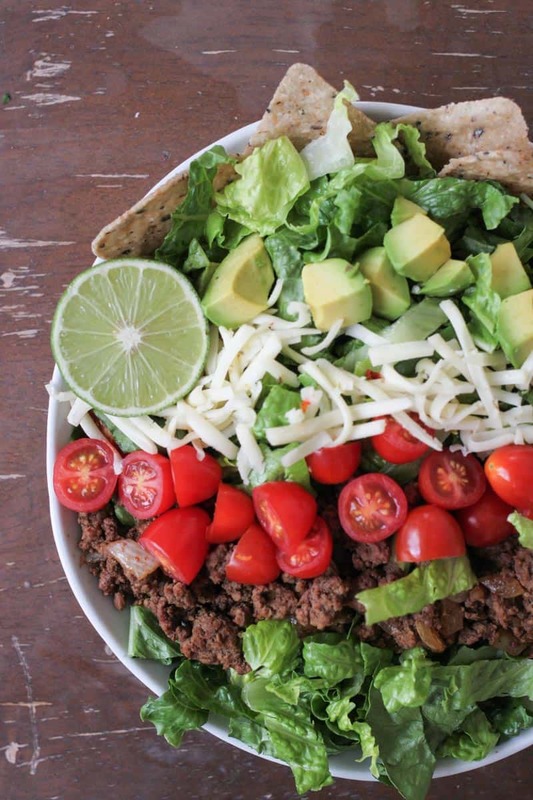 Arrange the salad with the lettuce, meat, cheese, remaining vegetables. 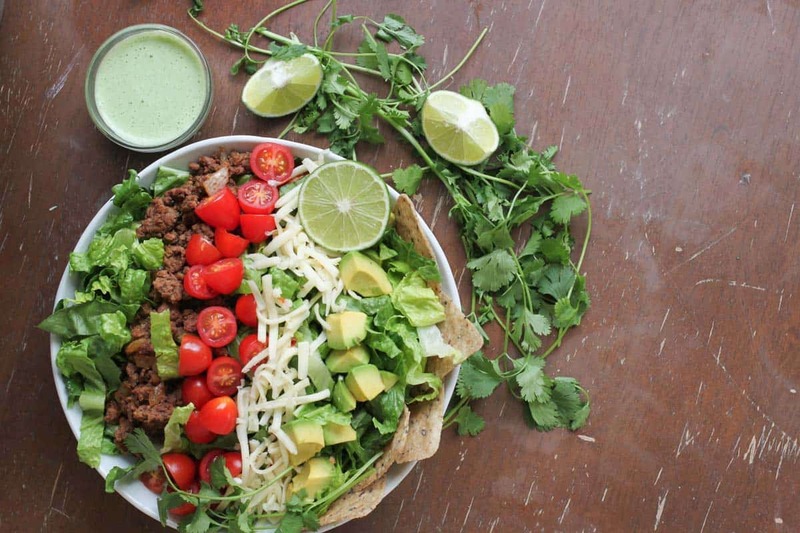 Top with cilantro, lime wedges, tortilla chips, and buttermilk cilantro lime dressing.